While Jorge Villareal’s background in architecture and digital art has surely helped shape his sharp aesthetic, it’s safe to say his world travels — particularly in Cuba — have played an even larger role. Admittedly inspired by “the rawness, the grit, the discomfort of reality,” the San Antonio-based artist has developed bodies of work exploring voodoo, street life and tobacco culture but might be best remembered on a local level for “All My Friends Are Sketchy” — a digitally manipulated portrait series he promoted in 2014 by wheat-pasting a pop art-inspired image of Gregg Popovich on the exterior of Agora Art Space. 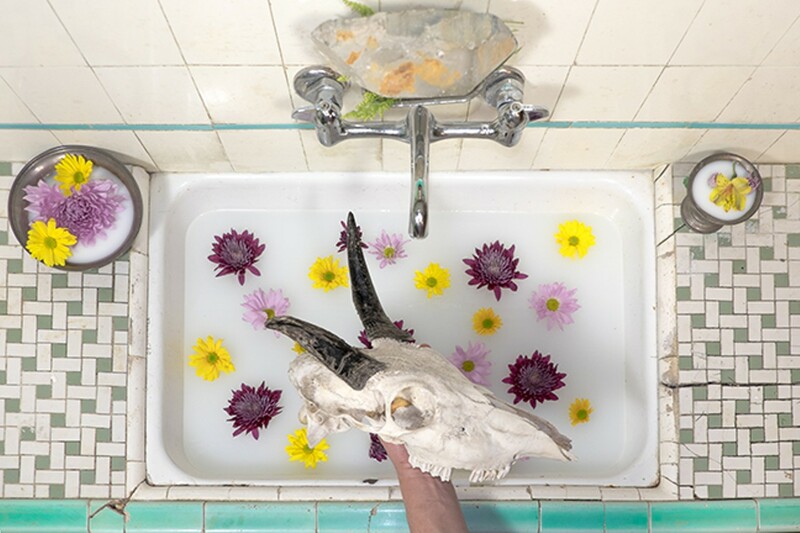 As a means to investigate “the world of objects and people that surround him,” Villareal has since started building a series of still-life photographs he’ll unveil at Dorcol in conjunction with Second Saturday in the South Flores/Lone Star Arts District.